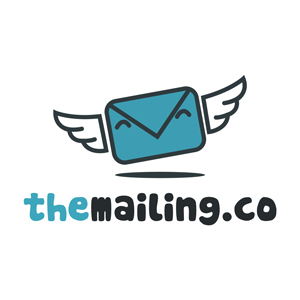 We print and send your custom A5 postcard marketing to the UK startups you need to reach. We have around 2000 new registrations a day just tell us which sectors keywords or geography you want and we do the rest fully automated. Send one card or send thousands - your targeting your budget your choice. Every day there are over 2,000 newly registered companies in the UK, Every new business need the basics, such as stationery, websites, accountancy services, legal services etc. 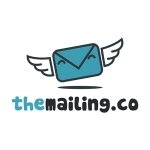 Themailing.co allows service providers to target and deliver their message directly to these companies by geo location, SIC code or keyword. For example; a web designer might want to target newly registered graphic design companies with a 20m radius of Reading setup in the last week. You can simply create an account, upload their artwork, create profiles for different companies they want to target and then we do the rest. The system will pick up all new companies and deliver their message to them on a daily or weekly basis. You can run a single campaign or just set-and-forget. We have a real time data stream of every new business being born in the UK that we classify by SIC code, geography and keyword. Our clients tell us exactly who they wish to connect with, we scan the data constantly and post (as in, on paper) our clients' promotion as we find a match. For example - in our last 40,000 registrations (about a month), 770 were within 10 miles of Bolton Town Hall, 227 of those were in the last week. These are brand new limited companies. From early talks with another County Council we're beginning to see (there at least) that new companies aren't necessarily aware of all the help available from local government. It would be our job to connect all those startups with the relevant services available from http://www.businessbolton.org/. We also don't need to blanket cover everyone - we can target specific sectors with specific campaigns (everything is automated with no minimums). As an obscure example, if you wanted to send a specific campaign to all new retail businesses, but not those with tobacco products - we can do that easily. Makes no difference at all if you send one a year or a million - there are no minimum sending requirements. The system is perfect for a council wanting to target new startups with relevant services and information. Join the list (it's on Mailchimp so easy to un-join) and we'll bump up your first topup by 20%. You don't need to pay anything to get setup, only when you actually want to start bringing in new business.